Gear Sector™ slings are designed to utilize a modular weapon attachment system to accommodate a variety of weapon platforms. The QD Push Button Swivel Adapter is ideal for weapons outfitted with quick detach push button swivel sockets. 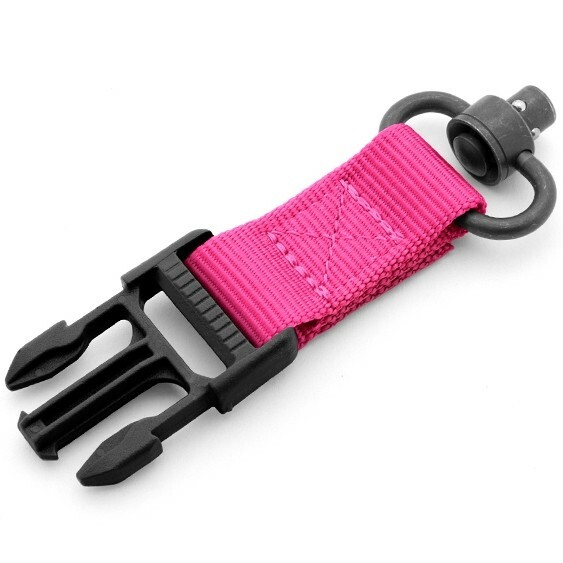 If your weapon is already outfitted with quick detach push button swivel sockets add this adapter to replace the auxiliary adapter that comes with your sling. If you do not have a quick detach push button swivel socket, you may want to consider one of Gear Sector's other weapon attachments. The adapter required depends solely on your weapons configuration.